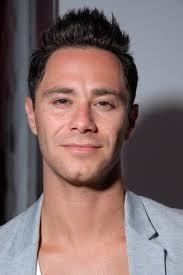 Sasha Farber is an Australian professional dancer. He began dancing at the age of 13, and made his debut on season 2 of the Australian version of the show in 2005. He is known for his appearances as a troupe member and pro on the dance reality show, Dancing with the Stars. He was born as Alexander Farber in Moscow, Russia into Jewish family. In 1986, he moved to Australia from Russia with his family following the Chernobyl nuclear disaster. He has a sister named Svetlana Shapshal. In October 2016, he got engaged to fellow Dancing with the Stars cast member Emma Slater. *He began dancing at the age of 13. *In 2005, he made his first appearance in Dancing with the Stars as a dancing troupe. *He joined the American version in 2011.